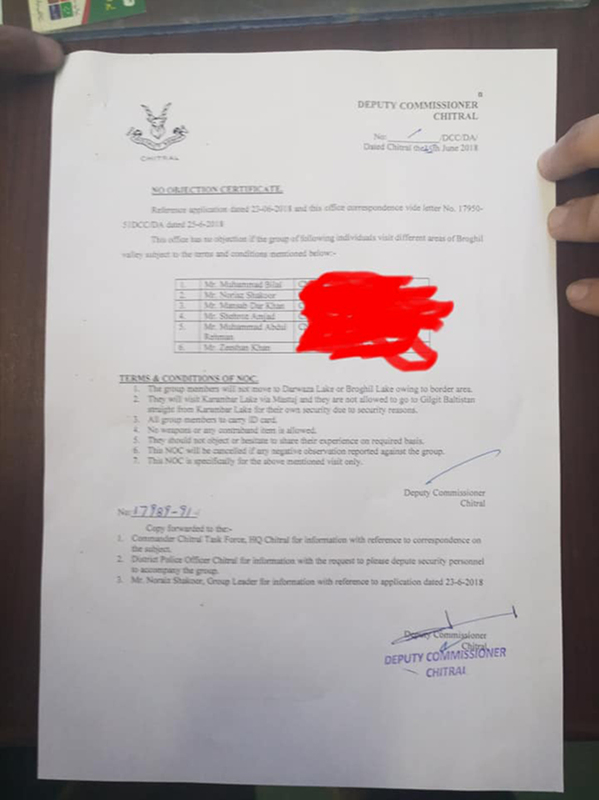 You will get NOC from DC Office Chitral after verification from Chitral scouts. You must make five copies of the NOC document. You need to provide a copy to every check post. Now you can move forward to Mastuj from Chitral. After reaching Mastuj, You need to visit Chitral scouts headquarters where they will issue a new NOC from Pakistan Army. This step was not easy and it was very hard to convince them But we were passionate enough to visit. That is why they allowed us to visit but with certain conditions. You can see conditions in the attached image. 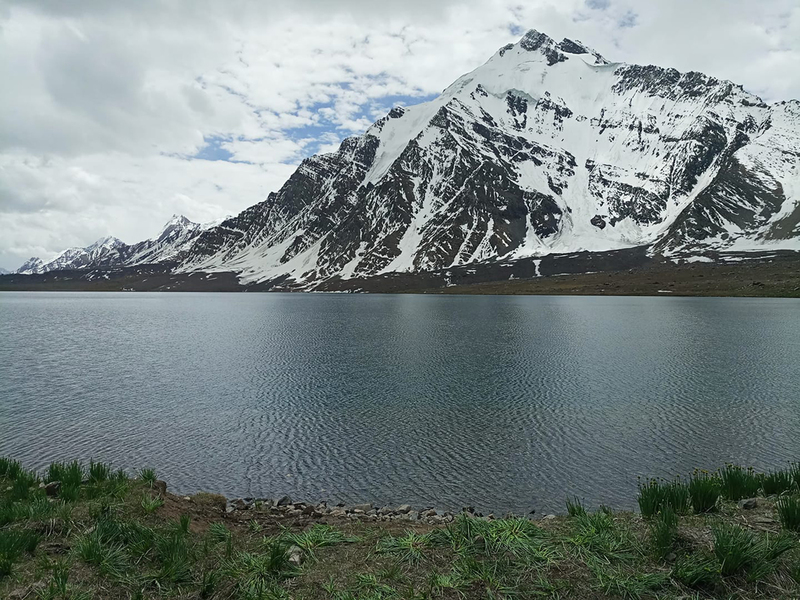 After getting NOC from Mastuj, you can go forward to Korambar lake. 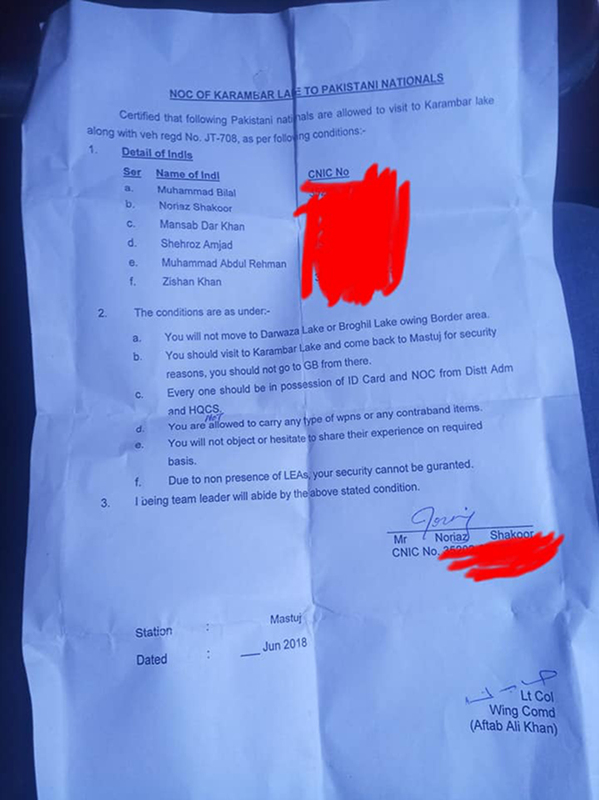 Chitral scouts will take your id cards in their custody and will return on your way back. These steps were followed by us and they might change in the future as per requirement. Make sure you confirm from DC Office Chitral. These steps were followed in June-2018 to get NOC. Following are both NOCs provided by DC office and Chitral Scouts HQ. Please share & comment if this procedure was helpful for you. Thank you! - Content and Photos by Noraiz Shakoor.